The book “Trilogy of Wireless Power Transfer” from Würth Elektronik consists of three different parts which are the basic principles, the wireless power transfer system and the application part. 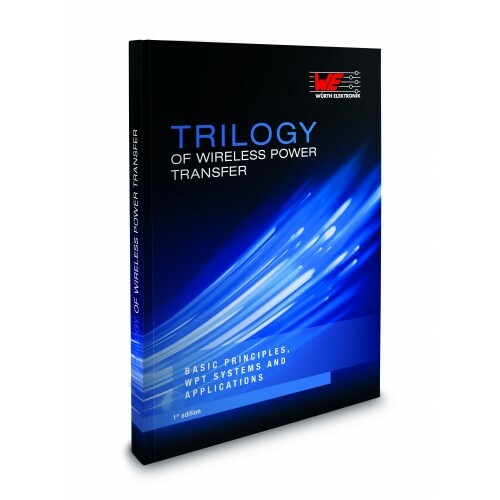 In the first part, the basic principles of wireless power transfer are described with the different transmissions paths, the leading standards and the basic physics. The basics have not changed in the last 120 years but we will still give a short overview. In the second part, the wireless power transfer system, the different topologies of the wireless power transfer, the transmitter and receiver coils needed and FET selection and all other required parts are described. The third part describes and illustrates practical application examples in the field of the Qi standard, examples for proprietary solutions, an overview of EMI related topics for closely and loosely coupled systems and also an example for a multi-mode wireless power transfer system.